As an MC, guest speaker or media presenter, few can capture the essence of our country and its heroes like Rupert McCall. Rupert is the author of five anthologies of verse that have collectively sold over 120,000 copies. He is equally at home in radio or on TV with recent roles hosting Sports Today radio 4BC and presenting lifestyle and sporting television programs on CH7 and CH9. Rupert’s great passion for sport was on display when he was appointed chief commentator for CH10 at the 2007 Rugby World Cup in France. 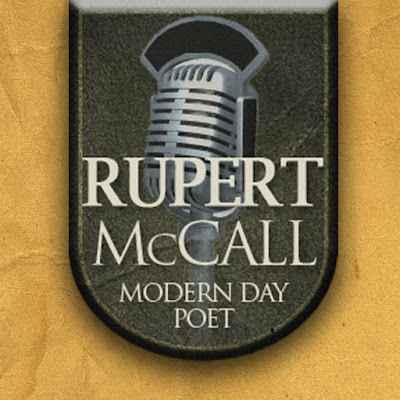 In many sectors, Rupert McCall has become the poet of our generation. In 2005 he was awarded the honour of opening the Prelude to the Dawn Service in Gallipoli with his acclaimed and moving tribute NINETY YEARS AGO His popularity transcends all demographics and ages, from the schools he visits to the corporate and sporting functions that he entertains. He is a passionate Australian and his ability to share this enthusiasm with any audience is warmly received. He has hosted and spoken at various high profile functions including Allan Border Medal Dinners, AFL & Racing Hall of Fame Inductions, Olympic Receptions, The Birdsville Races, Test Match Rugby functions, Anzac Ceremonies, tributes and testimonials. In 2010, Rupert recited his stirring tribute ‘A Firefighter’s Dream’ on September 11 – firstly in Battery Park at the conclusion of the ‘Tour of Duty’ run and later on that day, at Ground Zero, in contributing to the annual twilight ceremony of the New York Fire Department. He has already carved out a unique position in the Australian and psyche and will continue to captivate and inspire audiences for years to come.